Kabir Bengali Movie All Songs Lyrics With HD Videos Kabir is An army bengali drama film directed by Aniket Chattopadhyay produced by Dev Entertainment Ventures Presented by Gurupada Adhikari and Dev Adhikari. 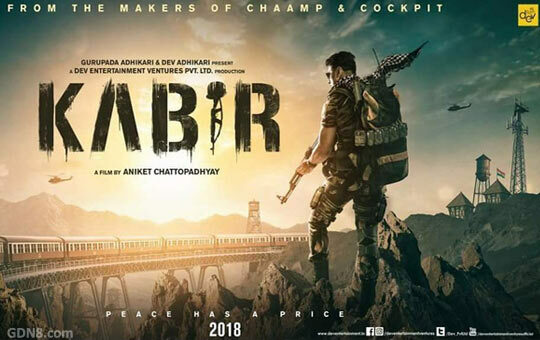 News about Kabir Bangla Movie All Song Lyrics Lyrics: Great news for all "Dev" lovers, He is come with his 2018 new movie Kabir is An captain is on a mission to track down and destroy a gang starring: Dev and Rukmini Maitra in lead roles in this movie. Releasing in 2018.